To deliver a truly open learning experience, one must allow the learner to have the choice and flexibility in what to study, when to study, and how to study – with no prohibitive costs for doing so. Furthermore, a learner should be both allowed and encouraged to build on to that learning experience. For these reasons, I believe The Saylor Foundation is an example of what open and connected learning can be. 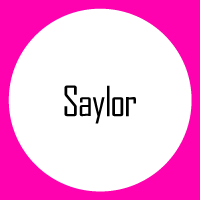 The Saylor Foundation began with a mission to leverage technology and online content to deliver a college education to those who were not being served by existing higher education infrastructure. We do this by providing our 300+ full online courses for no cost, anytime (Saylor.org courses are designed to be self-paced and asynchronous). We are able to do this largely because of our commitment to using existing OER. This practice, as opposed to using solely open-access and copyrighted materials, helps to ensure that our courses are sustainable and suitable for a learner centric environment. In line with that mode of thinking, is the fact that students can make use of Saylor courses even if they choose not to do so on our own site. Because the courses carry a CC-BY license, students can integrate them into other learning platforms (such as a peer-to-peer environment) or with useful learning tools. The opportunity for students to learn as they want to learn, is a big part of what makes Saylor open. In the 4 years that we have been providing free education, it has become clear that there is an audience that needs an alternative and affordable means of education. Where we are looking to next, is whether the knowledge that one can now gain for free, albeit without a degree, can be leveraged to truly improve one’s life.